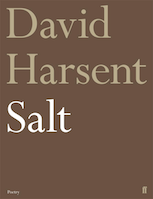 Salt is a distinctive new assembly of poems by the multi-award winning David Harsent. Resting somewhere between fragment and exposition, these intense and primal pieces stretch out across the measure of the page in brief utterances. One extends sonnet-length, one consists of a single line; but each piece uniquely completes its own world, and at the same time shades on to the next as a succession of frames and stills and imaginings that lends light and colour in the round. Mineral, eerie, sensory, spine-tingling, the poems in the collection are experienced as encounters - some with the surety of daylight, others in dream-life - that refresh with the turning of each page. Like a set of shared notes or little fictions passed through space from hand to hand, the writings build powerfully to make Salt an unforgettable volume from this most visionary of writers. The poems in David Harsent’s new collection, whether single poems, dramatic sequences, or poems that ‘belong to one another’, share a dark territory and a sometimes haunting, sometimes steely, lyrical tone. Throught the book – in the stark biography of ‘Songs from the Same Earth’, the troubling disconnects of ‘A Dream Book’, the harrowing lines of connection in four poems each titled ‘Fire’, or the cheek-by-jowl shudder of ‘Sang the Rat’ – Harsent writes, as always, with passion and a sureness of touch. Truly significant poets continue to challenge their readers from book to book. Some – like W.B. Yeats, Czeslaw Milosz and even R.S. Thomas – go on to have “late great” flowerings. 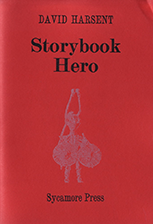 David Harsent may not be at the “late” stage yet, but with every book his stature as a truly significant writer becomes more undeniable... As Ovid demonstrated long ago, we gain real emotional understanding through exploring symbol and story. 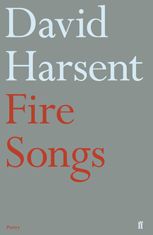 Fire Songs stunningly affirms how fertile this project remains, and how urgent as well as striking Harsent’s vision has become. Among the poems that open Night, David Harsent’s follow-up to his Forward Prize-winning collection Legion, is a startling sequence about a garden — but a garden unlike any other. It sets the tone for a book in which the sureties of daylight become uncertain: dark, unsettling narratives about what wakes in us when we escape our day-lit selves to visit a place where the dream-like and the nightmarish are never far apart. 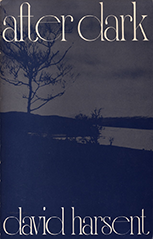 The book culminates in the seductive and brilliantly sustained ‘Elsewhere’, a noirish, labyrinthine quest-poem in which the protagonist is drawn ever onward through a series of encounters and reflections like an after-hours Orpheus, hard-bitten and harried by memory. Truly significant poets write like no one else, and David Harsent is both sui generis and unsurpassed. Taking over where his Forward Prize-winning book Legion left off, Night conducts an examination of the human psyche that is unique in both the unflinchingness of its gaze, and the narrative metaphors it uses to explore dream-life, terror and hidden impulse... Working, as poetry should, on every level at once, Harsent’s verse is also unified by rhyme and its variants — including alliterative chime — which fill the mouth with pleasure and beg to be read aloud... At once disciplined and wild at heart, as linguistically rich as it is visceral, Night is Harsent’s finest book to date. Harsent has a dreamer’s eye and an unerring ear... “Elsewhere”, the long poem that ends the collection, is [his] most dazzling achievement... This poem deepens the theme of dispossession, the days and nights of reckoning, the consideration of what it might mean to lose everything. 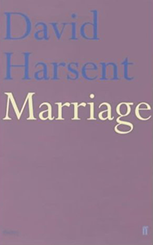 Harsent alludes to loss in so many ways but his poems are treasures — all gain. Harsent’s lines are incredibly supple, stretching and looping, snapping back, never coming unstuck. He is formal in the sense of being highly conscious of musical patterns, but his patterns are roomy and irregular, playing shape off against shapelessness with expert improvisation. Rhythms are syncopated; rhymes tend to be half or slant, and unbalanced by internal counterparts to give an off-kilter, off-the-cuff effect. It’s an unmistakeable, endlessly adaptable style, able to hit every tone on the scale, from leer to lament... Pain and loss light us through the darkness, Harsent insists, as well as contributing to it. The light of these poems is essential. Night is anchored by expertly observed material detail, yet its prevailing tone is one of evasive and grief-stricken mysticism. 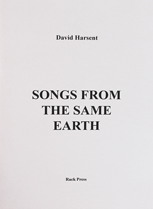 Harsent has written a bookful of Dream Songs for our time, a collection revealing again and again that its author is at the height of his powers. Harsent’s early gift was for the icy observation and resonant image. [Later] Harsent’s verse opened up to longer lines and the poem sequences Mister Punch (1984), News From the Front (1993) and Marriage (2003), which drew on Bonnard’s relationship with his model. By the time of the Legion war poems - "Then we had iron rain, nine days without break or let" - the terse exactitude still projects a stunning clarity of vision, but has expanded into a wider and deeper wisdom, and this exemplary distillation of a career exerts a formidable potency. David Harsent has become a poet of immense power, nuance and resource, enriching his textures with ‘high’ culture and with folk and ballad features, pursuing uncompromising insights and rigorous narratives, laying down rhythms as deft as any in Robert Gray or Paul Muldoon... Only with Ted Hughes gone could our principal anthropologist come into his own: Harsent is our master of the human red in tooth and claw. The title sequence of this collection offers reports from a series of unnamed war zones. Throughout, various accounts of conflict accrue: a series of discrete images, voices, events, and intermittent despatches — immediate and vivid — that cohere to give witness to war and the consequences of war. 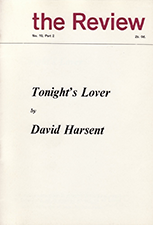 David Harsent...makes form serve the needs of his poetry. Indeed, I would go so far as to say that there is no poet writing today that I know who uses near-rhyme, assonance and the peripheries of formal verse anything like as effectively. David Harsent’s Legion has knocked me sideways with its vivid and sepulchral power. An exceptional collection that looks without prurience at the countless horrors of war we choose to forget...technically one of the most accomplished poetry books of recent years. David Harsent’s carefully harrowing collection, Legion, is both a disturbing distillation of, and profound meditation on, the vicious wars we have witnessed recently. Poems that move you and make you think. A compelling, immediate evocation of war as an inescapable condition... the technical accomplishment of Legion is assured and sustained to the end. 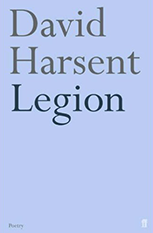 David Harsent’s Legion describes war, its contexts and ramifications, from a number of angles, coldly accounting for the incalculable human costs with a rightly discomfiting fluency of execution. 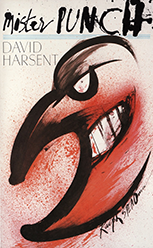 I read David Harsent’s Legion with the same interest and admiration I have felt about his work for many years. His technical skill and power increase with every book. The sequence The Woman & the Hare, rich with sexual and natural imagery, is the text for a wonderful piece of Harrison Birtwistle’s music... But the title sequence, which might be dispatches from an all-too-familiar though unspecified situation of war, reveals a new tone, a deepening and darkening of his viewpoint and voice which, unfortunately, seems totally justifiable at this historic moment. When I read poetry, I am looking for a world that I could never have imagined for myself. A worldview, a sensibility, that begins by seeming strange, even alien, but ends up leading me, sometimes reluctantly, into a suddenly familiar territory of ancient memories and repressed dreams. This is the territory where Blake receives his visions of Albion, but also where Baudelaire lurks in the smoky, perfumed shadows; Wallace Stevens pursues the as-if of the supreme fiction; Marianne Moore builds her astonishing menageries and imaginary gardens with real toads in them. 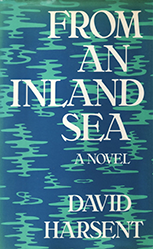 Though, as Mandelstam says, we should not compare — “the living are beyond comparison” — I’d have no hesitation in adding David Harsent to that list, for his is probably the richest, most seductive and, at the same time, most rigorous imagination working in English poetry today, and Legion is a tour de force of subtle music, unsettling imagery, unmatched formal agility and a worldview that is, by turns, a joy or a terror to share. I often recommend, to friends, students and outsiders fresh to English poetry, the haunting, beautiful and deeply unsettling “Ghost Archaeology” as an example of the best of what is happening in contemporary writing. As close as any finished thing comes to perfection, this is work of subtle, yet gently insistent musicality, compassionate in the true sense of the word and, as it reaches its eerie closing lines, deeply humane in its vision. This is poetry of utter integrity that, for the attentive reader, can make the world, if not a better, then at least a truer place. When I read poetry, I am looking for a world that I could never have imagined for myself. A worldview, a sensibility, that begins by seeming strange, even alien, but ends up leading me, sometimes reluctantly, into a suddenly familiar territory of ancient memories and repressed dreams. This is the territory where Blake receives his visions of Albion, but also where Baudelaire lurks in the smoky, perfumed shadows; Wallace Stevens pursues the as-if of the supreme fiction; Marianne Moore builds her astonishing menageries and imaginary gardens with real toads in them. Though, as Mandelstam says, we should not compare — “the living are beyond comparison” — I’d have no hesitation in adding David Harsent to that list, for his is probably the richest, most seductive and, at the same time, most rigorous imagination working in English poetry today, and Legion is a tour de force of subtle music, unsettling imagery, unmatched formal agility and a worldview that is, by turns, a joy or a terror to share. I often recommend, to friends, students and outsiders fresh to English poetry, the haunting, beautiful and deeply unsettling “Ghost Archaeology” as an example of the best of what is happening in contemporary writing. As close as any finished thing comes to perfection, this is work of subtle, yet gently insistent musicality, compassionate in the true sense of the word and, as it reaches its eerie closing lines, deeply humane in its vision. This is poetry of utter integrity that, for the attentive reader, can make the world, if not a better, then at least a truer place. Marriage consists of two sequences of poems. The first is loosely based on the relationship between Pierre Bonnard and his muse and model, who became eventually his wife. It is a rich pattern for the study of the mysteries of domesticity, the unspoken privacies and intimacies that can exist between two people. For the painter, problems of seeing become, for the husband, problems of knowing. Marriage is an inspired portrait of conjugality, exact, watchful and understated. The second sequence, Lepus, extends an interest in the hare as trickster, traceable elsewhere in David Harsent’s work, and most recently in The Woman and the Hare, a piece commissioned by the Nashe Ensemble, set to music by Harrison Birtwistle, and first performed at the South Bank Centre in 1999. Brilliantly cadenced, caustic, tender, these poems chart domestic observations like a heart-graph. [Harsent] is a unique mix of the nervily cerebral and the visionary, the deeply lyrical and the sourly vernacular, with a nice top-spin of craziness in imagery and a fantastic ear. Surely one of the most exciting poetry collections to appear for some time. Tremendously achieved. This is memorable stuff. A sequence of 25 poems which charts a circular journey: 12 of them trace the outward journey, the 13th is pivotal, and the remainder bring the traveller home. The subject of the quest is thanatology, and in particular the author is deeply curious about the business of his own death. 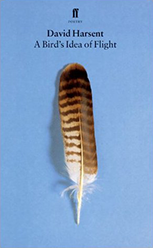 A Bird’s Idea of Flight is inventive, fertile, littered with banana skins, seething with ideas, and brilliantly written. Quite unlike any new book of poetry I’ve read for years. 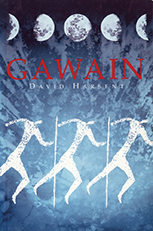 Harsent’s tense, vivid language and richness of reference make this impressive work as compelling as an adventure story. A very ambitious piece of work, bold in language, rich in reference and caustic wit. The sequence follows Harsent on a near-fatal descent into obsession, guilt and illness until the thirteenth poem marks a kind of self-discovery, whereupon his journey turns back on itself, giving the overall sequence a wonderfully reflective butterfly structure. A remarkably eerie piece of poetic engineering. There is wit and tenderness as well as fear in these poems; erudition also. This is without question an important development in the work of a poet who has never rested content with his achievements. David Harsent’s latest book takes the form of a dream journey... The book is undeniably difficult but immensely pleasurable for all that.... Harsent writes beautifully and readers will gain more from this unusual and ambitious exploration every time they read it. A Bird’s Idea of Flight is a dream-like, or rather nightmare-like, sequence of poems in which images of modern urban corruption — strip joints, whores, seedy nightclubs, instruments of pain and death — are presented as continuities of more ancient terrors, the one connecting thread being the poet’s fear of an fascination with the dreadful certainty of human mortality... [there is] passion, terror and wild, appalled laughter. It’s a dream journey flickered through by the trickster presence of the hare and a “bundle of bones” straight out of a fourteenth-century fresco... The imagery is darting rather than confusing, fired by a snappy yet sensual language, the lines bobbing hypnagogically just where poetry brews itself most potently. 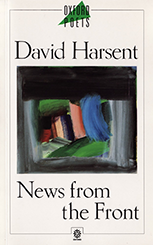 News From the Front, David Harsent’s fifth collection of poems, is a sequence that explores a powerful drama of separation. It uses the voices of several characters: a man is separated by war from his common-law wife, and while he is away she gives birth to his child, a boy. The man writes letters home and also keeps a journal, which consists partly of a Bestiary, which he hopes to be able to show his son. The woman lives on the edge of Dartmoor, and her fantasies and inner life are so strong as to bring the man almost within reach; the boy falls in with this, and sees his absent father as a hero. 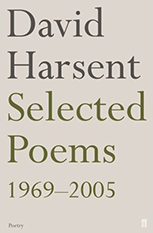 Harsent’s poems are characteristically lithe and swift and punctuated with deft visualisations...[his] verbal and imaginative range has never been more extensively on display than it is in this volume. News from the Front is a decisive advance on previous work, and it is this which might make Harsent a major poet rather than an unbeaten knife-fighter. The advance is of scale and compassion. He is trying to equip love to deal with the sheer physicality of rage. This selection, made by the author, brings together work from his four individual collections, A Violent Country (69), After Dark (73), Dreams of the Dead (77), and Mister Punch (84), together with a number of new poems. 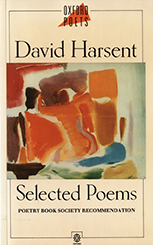 Harsent’s commitment to lyricism has caused him to fight hard over difficult territory, since he is not content to isolate shining moments, but is driven to tackle complex subjects. His solution is the dramatic sequence... There is an acute sexual edge and much brilliant imagery. 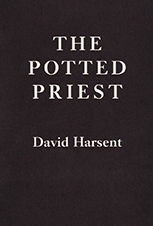 Experiences that bruise the psyche haunt Harsent’s poetry. Astringent, wild imagery threads through his writing and gives a sensuous, unkind, but sometimes beautiful and unnerving lyrical landscape to a poetry that is uncompromising in its imaginative treatment of the unpacified and sore areas of experience. Mr Punch is generally identified as the manic anti-hero of the traditional puppet show, whose origins lie in the commedia dell’arte. Punch’s history goes further back than that, however — to court fool, holy fool, trickster, and even, perhaps, shaman. He is the grotesque, our shadow-side, who must act out a role that takes him from aggressor to victim, and thence to the possibility of spiritual resolution. David Harsent’s brilliant adaptation of the tradition brings Punch squarely into our painful and complex times. He stakes a real claim to attention... His strongest creation is the sexual extremist, Mr Punch, an insatiable aggressor and victim... These poems have the compulsion and estrangement of a vision. Harsent has become master of more voices than the first person. Mister Punch is a considerable lyrical achievement: few poets writing today can command such tension or such fluency of line. With this new collection, David Harsent enhances the considerable reputation established by his earlier volumes. The poems in Dreams of the Dead represent, in some ways, a departure from his previous work; he writes here at greater length, often using poem-sequences which provide a traceable narrative line while retaining a distinctive and powerful lyrical vocabulary. 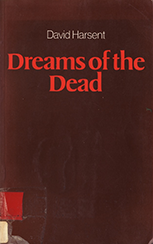 Dreams of the Dead is the most important long poem to have appeared in English since Basil Bunting’s Briggflats. [Here] he breaks out into a new poetic eloquence...a loose narrative holds together round a framework of event and emotion, often lyrical and sinister, with a macabre beauty to it. One hopes that it is in this vein that Harsent will follow, for it is rare in British verse and much needed. 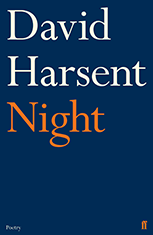 Realising the weakness of imagism, its stationariness and brevity, Harsent is linking poems into not only larger but more complex wholes, where images interact with a sometimes hallucinatory beauty. [These poems] compress the stuff of novels — Firbank or Fitzgerald novels, perhaps — into a few score lines...his language has purity, power and precision... The dynamics of each poem-story are so exact and balanced that elaboration would only spoil them. A strong third collection... Harsent has an unusual claim to notice: you begin every poem with the certain prospect of pleasure and surprise. 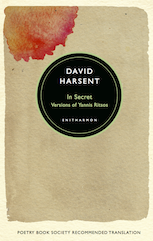 The poems in David Harsent’s first collection, A Violent Country, were set mainly in the terrain of obsession and extremity. With no dilution of intensity this new collection is in a deeper and stiller vein. The poet is concerned to explore those mysteries of experience beneath the surface of incident, informing and informed by recollection. In a number of poems early in the book (Homecoming, Old Photographs, After Dark), by reinventing the past he looks, taking examples, at the strength of the ‘myth’ of one’s childhood — something which is forgotten, literally, but which remains clandestinely powerful under one’s adult life. Other poems demonstrate a continuing concern with solitude and with the influence of landscape; and there are too a number of finely balanced love poems. This new collection will confirm Harsent’s reputation as one of the best poets of his generation. David Harsent’s new collection leaves most of his contemporaries at the starting gate. These are dark and magnificent poems in which memory and landscape are deftly balanced... There is an exactness about Harsent’s judgment which allows the reader not only to view his world, but participate in it. The characteristic atmosphere of his poems derives from the contrast between their musical exactness of measure and the uncharted, menacing territory it is their business to explore. He is a writer of extreme assurance and precision, poem after poem sounds irresistibly right, its rhythmic and sensuous components perfectly interlocking. Poem after poem in this, David Harsent’s first collection, demonstrates his mastery of the terrain of obsession and extremity in which his work is set. A brilliant series on madness — Nijinsky’s, St Simeon Stylites’, a friend’s in hospital — is balanced by love poems whose grave music never scants the terror that underlies them; and a group of compassionate but unsparing poems on a suicide is set against a sequence in which a woman moves with dreamlike precision through her house and garden, solitary, observant, anguished, withdrawn. In each, and running under all, is an extraordinary visionary power and authority. David Harsent’s language is taut almost to breaking point... 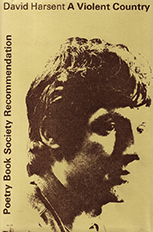 The poems are born of necessity, and this sense of extremity pervades the whole collection... There is little one can say about a book so exciting, except that it is supremely disturbing. Individual images are incisive to the point of cruelty: the poems as a whole are deeply compassionate and sane... A sensibility of quite arctic rigour. Yannis Ritsos (1909-1990) is one of Greece’s finest and most celebrated poets, and was nine times nominated for a Nobel Prize. Louis Aragon called him “the greatest poet of our age”. He wrote in the face of ill health, personal tragedy and systematic persecution by successive hard-line right-wing regimes that led to many years in prison, or in island detention camps. In Secret gives versions of Ritsos’s short lyric poems: compressed narratives that are are so pared-down, so distilled, that the story-fragments we are given – the scene-settings, the tiny psychodramas – have an irresistible potency. 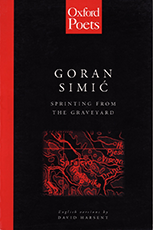 Goran Simic was born in Bosnia in 1952. 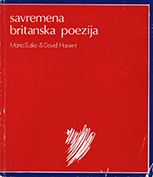 This collection contains David Harsent’s English versions of poems written by Simic during the time he and his family were trapped in Sarajevo during the siege. 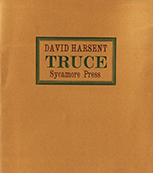 The poems speak with a unique and terrible directness of the experience of war, and, in particular, the besieging of a civilian population. The brilliance of these poems lies in their detail, their lack of rhetoric, and their passion. 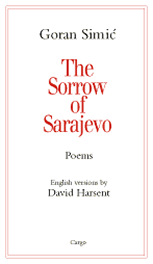 [Harsent’s] poetry is ever open to human darkness, whether in the imagined war-zones of Legion or in Sprinting from the Graveyard, his versions of poems written by Goran Simic while under siege in Sarajevo. From an Inland Sea charts the progress of an obsession. We first encounter the novel’s protagonists during one of their frequent trips abroad, and at once they become strikingly present to the reader: he clever, heated, questioning; she cool, successful, wary. Freed, briefly, from ordinary domesticity, they are still unable to liberate themselves from the accumulated expectations and anxieties of their relationship. An outrageously funny dinner party, a separation, a shooting weekend, a brutal moment glimpsed through a window, a brawl in a London flat, a manic photographic session, a crazed drive through southern France... scene by scene, David Harsent builds a story that is comic and passionate, menacing and desolate. Throughout, he uses a beautifully controlled and suggestive prose that brings characters and events vividly to life. Dissects, with unnerving skill, the kind of relationship that, seemingly healthy to the gaze of the outsider, bears within it a virus so deadly it can only be doomed... Sinewy, economical and exact. 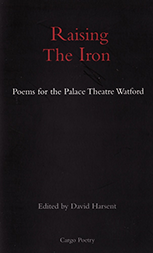 Foreword: “The last time the iron came down at the Palace Theatre Watford was in July 2002 when the theatre closed for major refurbishment. The theatre’s Artistic Director, Lawrence Till, asked me to commission a number of poems to celebrate its reopening, but also to celebrate theatre in general. 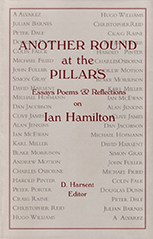 For his sixtieth birthday friends of the distinguished poet, critic and biographer Ian Hamilton, have gathered to offer an international festschrift to honour his writings and the remarkable influence he has exerted on his generation. The result is an unparalleled portrait of literary London for the last thirty years, a Who’s Who of Britain's best poets, novelists, and playwrights resulting in a unique document filled with wit and humour... a must. Opening at the Edinburgh International Festival 2012. Further performances at the Theatre Royal, Glasgow, and the Linbury Theatre at the Royal Opera House, then on tour. Opera; music by Huw Watkins. Opening at St. David’s Hall, Cardiff, on April 20th 2012. Concert piece; music by Simon Holt. The Corridor opened at Aldeburgh on June 12th 2010, with subsequent performances on the 15th, 17th and 18th. Further performances were given at the Queen Elizabeth Hall on Monday July 6th and Tuesday July 7th, and at the Bregenz Festival in Austria. Crime Fiction opened in 2010 at Weston Studio, Wales Millenium Centre, Cardiff on Saturday March 28th, with a subsequent performance at Galeri Caenarfon in April. Commissioned by the Royal Opera House, opened in April 2008. Commissioned by Channel 4 UK. Also aired on the Trio cable channel in the USA. Staged production: Kammeroper, Vienna, 2007. Commissioned by BBC Radio and VARA (Holland). First performance was given at a Concertgebouw Promenade concert in Amserdam, 2004. Commissioned by the Nash Ensemble. Performed March 1999 at the Purcell Rooms, South Bank Centre, and again in 2000. Also performed at the Megaron in Athens, 2002. The USA premiere was given at Carnegie Hall in 2005. First performance given May 1991, revivals in 1994 and 2000. Commission for the Prussia Cove Festival 1994.